We are all very excited here at the shop to have the start of Dakar upon us. Jonah is back in the saddle and after speaking to him on the phone last week he feels relaxed and confident. Keep tabs on the race at the Official Dakar Site or KTMTwins.com for stage results. We know some of your are having issues with your bikes getting too hot. Regardless of if you have a 950/990 LC8, RC8 or any of the KTM 690's you will be happy to hear we now have Thermostat Switches that will activate your fan at 88C/190F instead of the stock switch's activation temperature of 105C/221F. They are a direct bolt on replacement for your stock Thermostat Switch so there is no need for modifications. Pick one up today and get it mounted before spring and summer are upon us. Can't think of something to give your favorite riding buddy or significant other? How about a KTMTwins.com Gift Certificate for the holidays. We offer Gift Certificates in $25.00, $50.00 and $100.00 increments. Don't stress out trying to figure out what they want. Get them a Gift Certificate and let them choose! FP Custom Folding Levers soon available for 690's and 950's! We are excited to tell you that we have been working with FP Racing in order to bring you guys custom levers for your KTM 690 Enduro, 690 SMC, 950 Supermoto and 950 Super Enduro. We have been supplying 950/990 Adventure customers with them for weeks now. We really love the feel, function and looks of their levers and think you will too. Get them in all of the colors of the rainbow or just simple black if you prefer. We can even get them custom laser etched with your name or favorite saying. Keep posted here for their release! ZipTy Racing LC8 Rear Axle Block Kit is back in stock! They don't last very long and since our first large shipment went to customers who have been waiting months for it we wanted to let everyone know that we are stocking up on the very popular ZipTy Racing LC8 Rear Axle Block Kits. If you have been thinking of one or saw one on a buddies bike and think you may want a kit for you bike now is the time to get them. They won't last and when their gone they are gone for months at a time. Pick yours up today! Finally!! KTM 950/990 Adventure Tank Bags back in stock. Finally! With the only tank bag that is worthy of the KTM brand and worthy of the 950/990 Adventure being on back order for months, we were starting to get worried. Big sigh of relief now that we've just got a large order of them in. If you have been eagerly waiting, come and get them, we've got em'! We know you have been looking at the FMF Exhaust for your bike but simply cannot justify the expense in this time of economics. Well FMF has made that decision easy for you with their 20% off promotion going until 2/28/2011. You can't beat the savings. Simply include our "fmf" discount code in the discount box during the check out process and we will take care of it from there. With our free UPS Ground shipping until the end of the month you simply can't go wrong. Pick up your system today because they are going fast! If you are in San Francisco on 12/11/2010 show up at Scuderia West Motorcycles/KTMTwins.com for a free RKA Luggage, GPS Systems and Communications Seminar. Richard from RKA will be helping people choose the proper Luggage and GPS/Communications for your personal needs. This comprehensive seminar will educate you on making the right communication purchases for your particular needs. Richard will be on hand from 9:30am to 1:00pm to help. Rally Raid 9.5 Liter Auxiliary Gas Tank Kit arriving soon! We installed this kit on a customers bike recently and came back from it really impressed. Looking to add 9.5 Liters of gas to your KTM 690 Enduro or 690 SMC? Look no further. Rally Raid's 9.5 Liter Tank Kit is available in Black or Orange this kit is a true stealth tank addition. Hidden under the stock shrouds or better yet added to Rally Raids 690 Adventure Kit this tank kit simply rocks! We are excited about these 950/990 Adventure Custom Levers because they are the only levers on the market for the that bike. They are a nice addition to your bike and with all of the custom colors and special laser etching available you can make them yours. Want a true KTM 690 Adventure? Stop wondering and start saving those pennies. We are proud to announce that we are going to feature the cleanest KTM 690 Enduro Conversion to 690 Adventure kit that has ever been made. No more taping wires down and out of sight. No more wondering were the speedo is going to be mounted and if it will still look good. This kit has it all and will give you that bike you have always dreamed of. Kit will be available shortly so stay tuned! We are really proud to introduce the only custom levers for your 950/990 Adventure on the market. They are billet aluminum with enough lever throw adjustment to fit all hand sizes. They fold out of the way so in the event of a crash you don't have to worry about not being able to get to your destination with a broken lever. The best news is they are available in all the colors of the rainbow so you can really show off your artistic side. Available now! Rally Raid Products for your KTM 690 Adventure and SMC! We wanted to focus this newsletter to our newest friends to the KTMTwins.com Dealer lineup, Rally Raid Adventure Products. We carry the full line of Rally Raid products for your 690, with more on the way! Want a KTM 690 Adventure and been wondering why KTM never made one? Well this is by far the closest you are going to get to that dream. This Rally Raid KTM 690 Adventure Kit comes in Orange or Black, and includes everything you will need to built your dream bike. This kit utilizes the KTM European 950/990 Adventure Headlight and 950/990 Adventure windscreen. It includes everything you need to mount up your stock speedometer assembly and it does this with OEM precision. The best part about the Rally Raid Adventure Kit is the perfect relationship it has with their 9.5 Liter Tank Kit. This auxiliary tank kit is simply impressive. We had the luxury of installing one on a customer bike - the kit was well thought out and includes everything you need to keep you on your Adventure. Here is another nice addition to the KTM 690 Enduro and SMC line up from Rally Raid. Rally Raid’s KTM 690 Enduro Billet Brake Pedal is a must have. Unlike the stock pedal which will and break in a crash situation, this lever is more durable and can be bent back into shape. It operates on twin ball bearings for probably the smoothest action in the business. Includes a stainless steel mounting bolt. These are CNC'd stainless steel 2 piece replacement bolts for the tank on the KTM 690 Enduro and KTM 690 SMC. The stockers are known to break or seize, and every owner should consider swapping the stock hardware out for this high quality stainless steel set. Made for us on the US by FP Racing, these KTM 950 990 Adventure Adjustable Folding Levers offer riders 6 settings of lever adjustability and crash protection wrapped up in a beautiful package. The lever will fold out of the way in the event of a crash allowing you to ride off into the sunset with your pride intact. The best part about these levers is you can have them your way - numerous anodized colors are available, and for additional $5.00 per lever you can even have them laser etch your name or motorcycle club on it. KTM 690 Enduro/690 SMC Ergo Gel Seat on their way! It's been back ordered and we have been diligent with regards to getting them in stock. The KTM 690 Enduro/690 SMC Ergo Gel Seat is a definite improvement over the stock seat, and a must if you own of those bikes. We have a order on it's way to us to fill our inventory. With our Free UPS Ground service until the end of the year you can't go wrong. Hesitant to purchase quality apparel from us because you are concerned it won't fit? We've implemented the return policy on apparel that is popular on the web - we pay the return shipping if doesn't fit! Some restrictions obviously apply, but it's pretty simple. All apparel orders shipped UPS ground will contain a return UPS label allowing you to return the item to us if you aren't satisfied. No restocking fee, no hassle. Speaking of Klim, their new 2011 Traverse Jacket and Pants are well though-out and worth the investment. Bomb-proof 100% waterproof with Gore-Tex for both protection and it’s moisture-wicking properties. 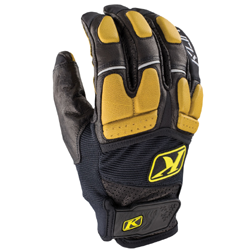 Klim’s new 2011 Adventure Glove is a nice addition to any ones Adventure Rider Gear. With a water resistant leather palm and 3M Scotchlite piping for safety, it’s the ultimate adventure glove. 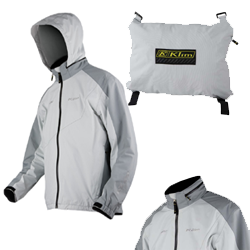 Klim’s new 2011 Stow Away Jacket is one of those jackets that everyone should have in their gear bag. Made of ultra light, breathable, and waterproof Gore-Tex, it packs into it’s own pocket and has Velcro straps for attaching it anywhere. We have battle tested this jacket on the Streets of SF for you. It rocks. 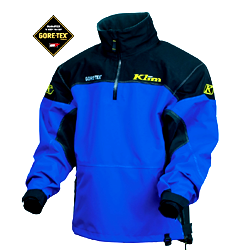 Klim’s new 2011 Powerxcross Pullover is simply awesome. Team Rally Panamerica’s Jonah Street has done extensive testing on this pullover and loved every minute off it. Made with Gore-Tex and made to last with additional protection on the elbows. Did you know that as a member of ADVRider you get 10% off orders of $999.00 or more? Simply leave your ADVRider username in the comments section when checking out and we will adjust the total for your discount. It's as easy as that! 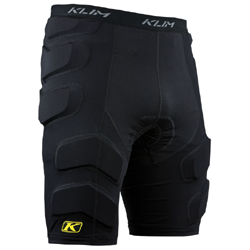 Klim products are excluded from this promotion. It's Oversized, made of aluminum and has replaceable screw in teeth. It's Hammerhead Designs Oversized Brake Tip. Available in all sort of colors and on our site very soon. It compliments their Custom Shift Levers available now. If you need one for a trip and can't wait for it to be available for easy ordering please email us and we will make that happen for you. Keep an eye out for this and many more new and exciting products to hit KTMTwins.com soon! KTM 690 Enduro/SMC Evo 1 Tuning Kit in stock and ready for ordering! If you own the 690 Enduro or SMC then you want the KTM 690 Evo 1 Tuning Kit. It is a airbox mod that works perfectly with the Akrapovic Exhaust System for that bike and opens up hidden horsepower. That's all we want, Horsepower! Labels: KTM 690 Evo 1 Tuning Kit, KTM 690 Horsepower Mods. 2011 KTM Powerwear and Orange Equipment Coming Soon! With all of the back orders and discontinued items from KTM's 2010 Catalog we are looking forward to the new Orange items KTM is ready to release to the market. We are working hard to list all of those new and unique apparel items that we simply can't live without everyday. We should have them up soon so stay tuned here first. GPR 2 into 1 Full Exhaust System for your 950/990 Adventure on Sale Now! Been looking at one of the only full exhaust systems for the 950/990 Adventure but haven't been able to justify the expense? KTMTwins.com is the only US dealer to carry this system and we want to offer it to our customers at a huge price reduction. Get your GPR 2into1 Exhaust System today at the reduced price of $883.00. With a retail price of $1199.99 you save $316.99. This system sets you up for the Auxiliary Side Tank available for the Adventure. Beware! This system is not for the faint of heart. With a exhaust note strong enough to make sure everyone knows you are rolling down the block you won't be missed in group. Pick yours up now before our inventory runs out. We all want it and it is finally in the works. Take one KTM 690 Enduro and slap on auxiliary tanks for longer rides and one KTM 990 Adventure front fairing and lights and what do you have. The KTM 690 Adventure that should of been built. We are excited about it and you should to. We will be listing this as a complete kit or just the Auxiliary Tanks alone. Keep posted here at KTMTwins.com for pre-sale opportunities. You have to see these in person to appreciate these new KTM Black Aluminum Side Bags. These MIL-SPEC tough side bags are built with durability in mind. With rubber corner protectors and rivets galore you can't go wrong strapping a set of these to your Adventure, Supermoto T or Supermoto R.
Want the KTM 690 Rally Replica Extended Footpegs Jonah Street and the KTM Sponsored riders are relying on when they have to put their life on the line during the Dakar? Biggest platform you can strap to your machine. If you are looking for more support while riding then you should consider picking a set up today. CRG has done it again. They just keep coming up with new and innovative stuff every year. This is their newest KTM Billet Bar End Mirror and it is sweet. Newly designed for better clearance around your shoulder and enough adjustability to make sense. KTM 690 Enduro/690 SMC European Tail Light and Fender Kit together for you to help the cause. Finally: A quality heated grip that can be shipped Internationally! With 4 Power Settings, the Oxford KTM Heated Grip Set will have a setting no matter how cold it gets over there across the pond. A 60 Liter Waterproof Dry Bag for only $99? We've gone mad! Fast guy Ty Howard has been able to take his RC8R to record breaking feats at Hallett Motor Raceway. With a perfect season looking him in the face we think he is aboard the right bike. For more on Ty's possible perfect season check out more details here. Good luck Ty.